We’ve all heard the cliché “bad things happen to good people,” and sadly, it couldn’t be truer. 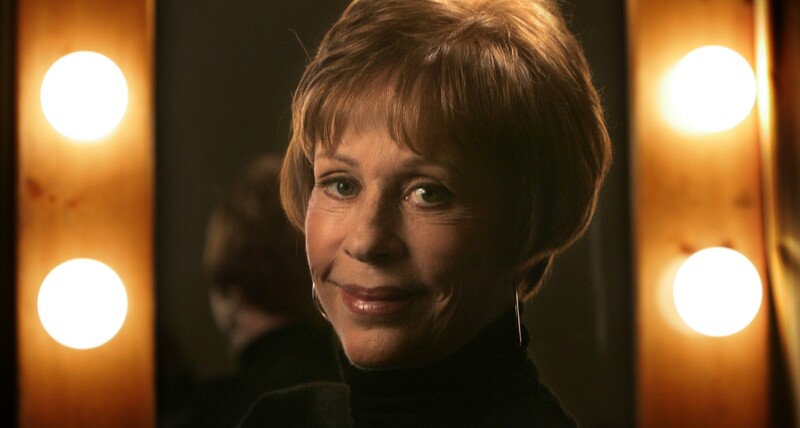 Carol Burnett is living proof. Sixteen years later, she is still mourning the death of her firstborn daughter, Carrie Hamilton. Hamilton died at the age of 38 just five short months after discovering she had lung cancer. The diagnosis came too late and the cancer quickly spread to her brain, leading to her untimely death on Jan. 2, 2002. But while Hamilton’s young adolescence was riddled with addiction problems (she had been to three rehabs by the time she was 17 years old), she overcame her demons, found her own talents and was a unique spirit. Hamilton found a truly incredible way to explore the world and connect with other human beings from every walk of life in her short 38 years. But moving on from grief wasn’t easy for Burnett who was only 67 years old when Hamilton died. So Burnett got on a plane and said a prayer to Hamilton to help her get through it — and it seems Hamilton sent her not just one, but multiple signs she was still there, cheering her on. When Burnett arrived to her hotel room, there was a bouquet of birds of paradise flowers in the room. While Burnett misses Hamilton everyday, she’s surrounded by family, including her two other daughters — Jody Hamilton (51 years old) and Erin Hamilton (49 years old) — and grandkids — Zachary (21 years old) and Dylan (11 years old). And she’s keeping busy. After doing a few guest star roles in TV shows including All My Children, Desperate Housewives, Law & Order: SVU, Glee, and Hawaii Five-0, Burnett is starring in her own Netflix series premiering May 4, 2018, A Little Help With Carol Burnett, in which, with the help of Burnett, kids dish out advice to celebrities and everyday people in front of a live audience.